This home's exterior is unique and one of kind in this neighborhood. 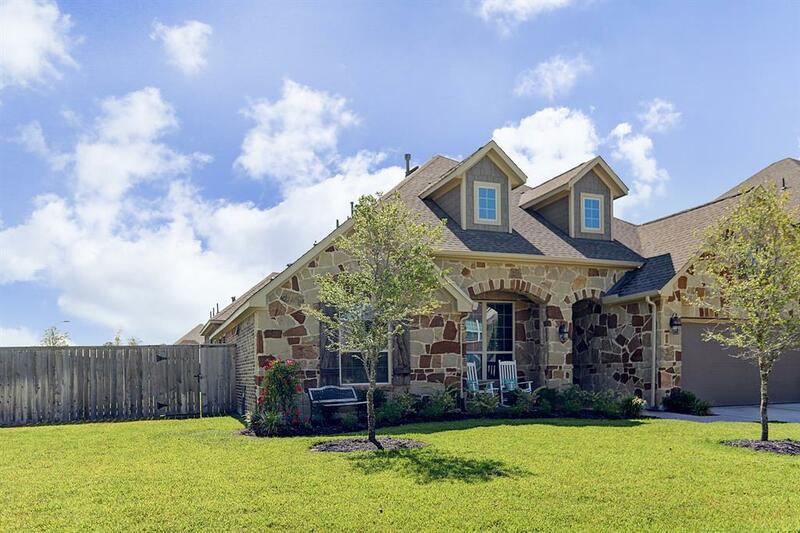 Situated near Hwy 249, Grand Pkwy, and 290 on a premium corner lot. Custom finishes include wood floors, granite counters, art niches, crown molding, custom paint and lighting. The kitchen is truly the heart of this home with 42" cabinets and spacious pantry offering plenty of storage. Recessed, pendant, and under cabinet lighting, stainless steel appliances, tile back splash, and enormous kitchen island make it perfect for entertaining while opening to the family room. 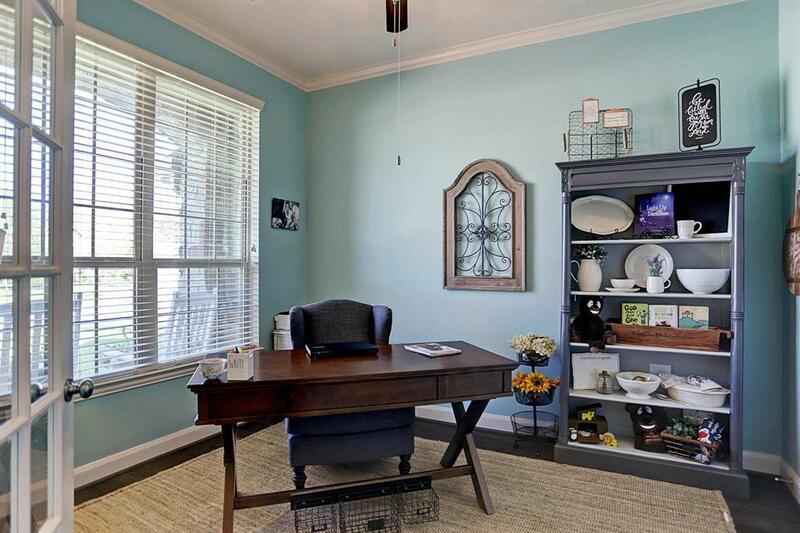 Quiet study with a closet could be considered additional bedroom. 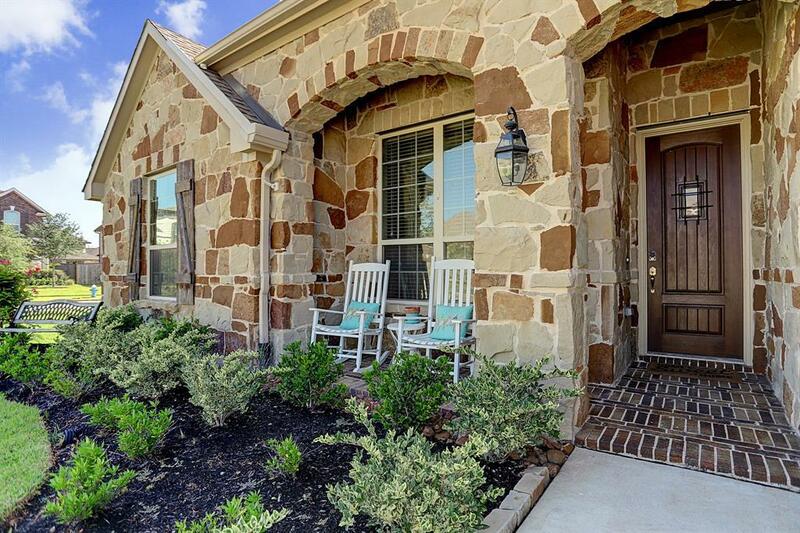 Enjoy coffee on your front porch, or grill on the back covered patio while listening to your favorite music on the Polk surround sound system complete with ceiling fans for those warm evenings. 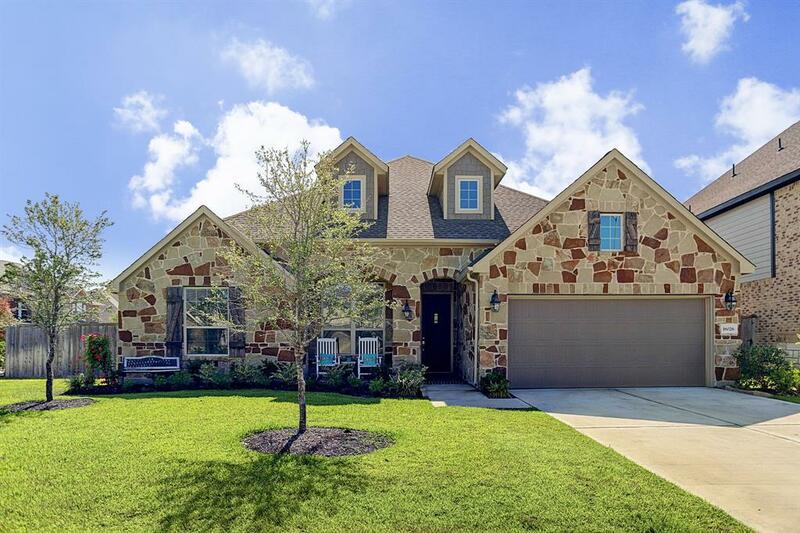 Zoned to Tomball ISD this home offers convenience, style, and easy living while offering nearby parks, splash pad, pool, and trails. Come see your Next Home!